Very easy to grow, extremely high yielding and also very healthy. You will only need a few plants (3-5) to supply you with regular meals of spinach. 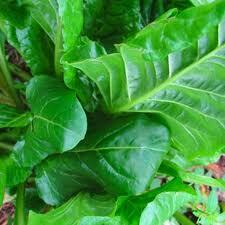 Perpetual spinach is also known as spinach beet or leaf beet. 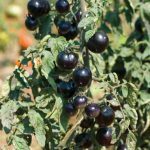 It must be one of the easiest vegetables to grow and with the use of a tunnel or greenhouse you can harvest it for 10 months of the year. You can extend the growing season of perpetual spinach with a late August/early September sowing and you can start picking leaves from late October onwards. During very cold spell the tops may die back but they will come back in late February and the plants will continue to produce leaves until April. Perpetual spinach will do well in any fertile soil. It benefits greatly from generous manure applications prior to planting. 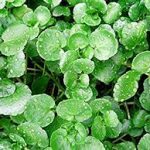 Perpetual spinach is very easy to establish. Seed should be sown into modular trays (one seed per cell) and then placed onto a heating bench at 18ºC. You will notice that from the one seed about 3-5 seedlings appear. They are clusters of seeds. In order to get one good strong plant you need to thin out the seedlings to leave just the strongest one in each cell. The seedlings can be planted about 5 weeks after sowing. Keep the crop weed free and well watered especially during warm spells. It’s also beneficial to remove the lower leaves which turn brown if not harvested on time. Harvest the leaves continually throughout the growing season by twisting them away from the base of the plant. It is a down, push, twist movement. Try it a few times to get practice. It is much better for the plant than cutting it and ending up with diseased little stumps. You will get 5 plants per square metre. This is more than adequate for each sowing. 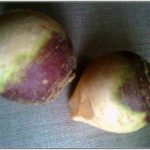 Plant breeders have shown very little interest in this vegetable which reflects the absence of varieties. The one variety which is most available is simply called Perpetual Spinach, like the vegetable itself.